Play Callaway Golf`s new Sub Zero fairway with Flash Face Technology, engineered using artificial intelligence to generate more ball speed. 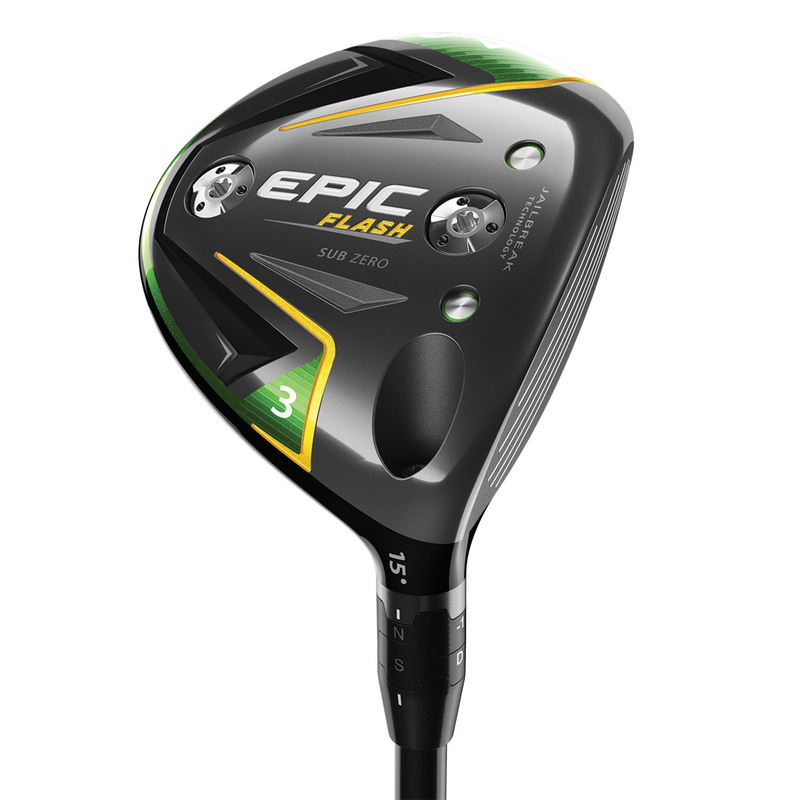 The Sub Zero differs from the standard Epic Flash by offering 2 weights on the sole (16g and 2g), this controls spin rates and offers a wider range of ball flight trajectory. 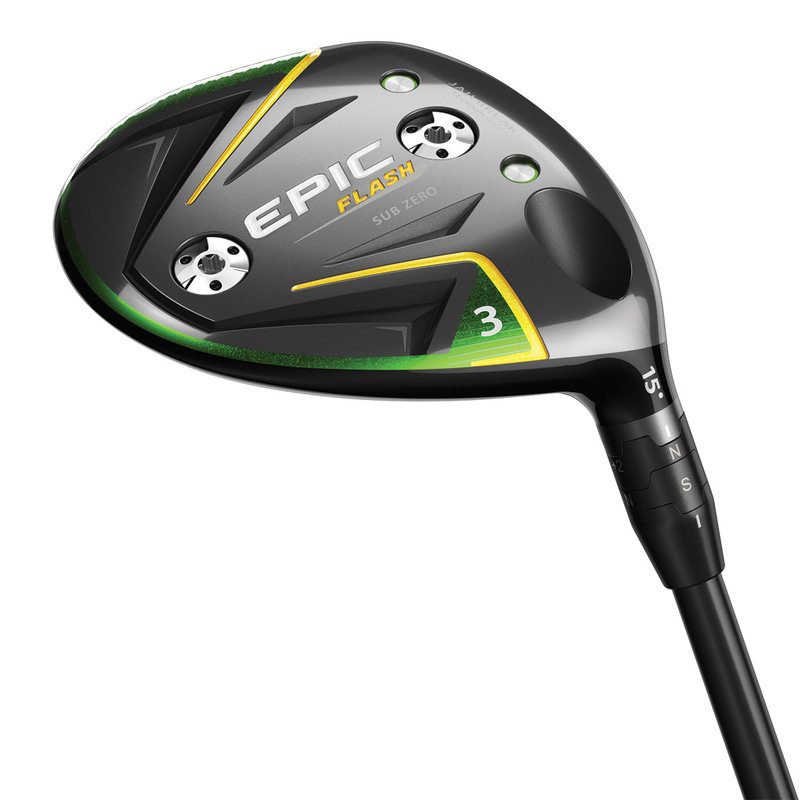 The fairway wood face has been engineered with a high-strength forged carpenter 455 steel, which combines with Face Cup technology to enhance ball speed. This promotes distance even on off centre ball strikes to provide more consistent distance in your golf game. This lighter and shorter hosel design helps to reposition the CG weight lower and deeper in the head, to provide an easy launch for long towering distance. 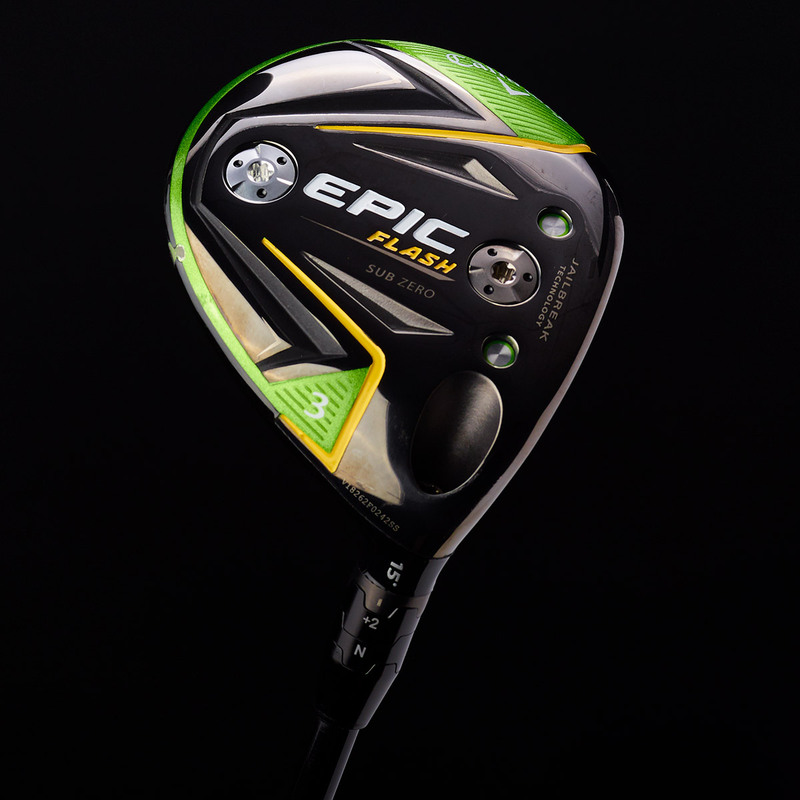 For the first time in a Callaway Golf fairway, designers have combined Jailbreak technology and adjustability for a range of different shot shaping.